The girls have joined the Mahoney Marlins junior baseball team! Nancy will pitch, Bess will catch, and George will play shortstop. The girls are excited, but Bess worries that baseball isn’t exactly her thing. However, Bess turns out to be an amazing hitter and she quickly earns the nickname “Home Run Bess.” Bess thinks her newly found talent is thanks to her lucky bat, which she calls “Magic Bill.” But one day she discovers that Magic Bill is missing! 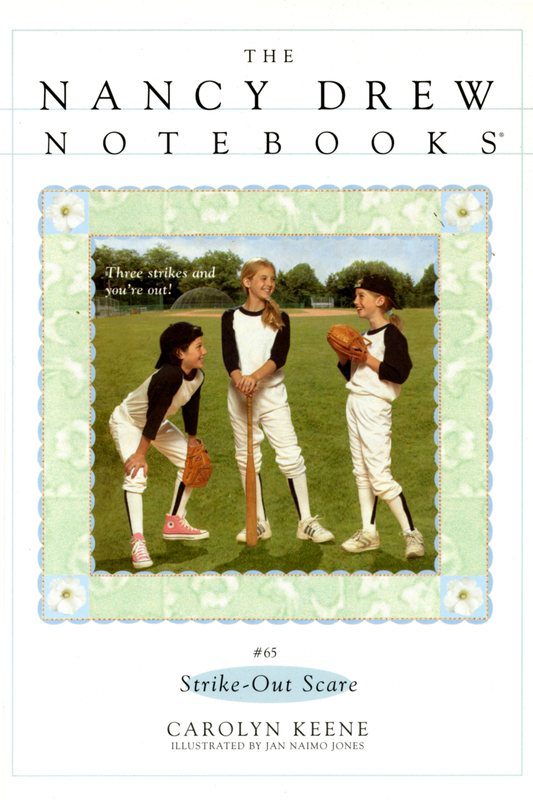 Can Nancy find Bess’s bat in time for the big game, or is Bess destined to strike out?